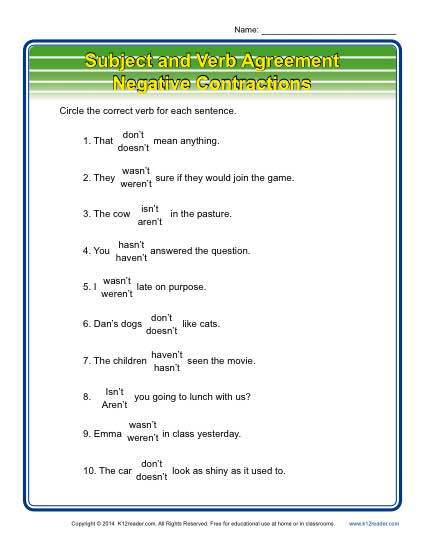 Negative contractions may complicate a student’s profiency with subject and verb agreement. This worksheet offers practice for this pitfall. It’s compatible with Common Core Standards for Language for 3rd gade, but you may find it useful for other grades.